Why choose a Catholic school? 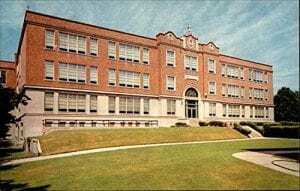 It is a question I have been asked many times over the years as my children attended Catholic elementary school and have then gone on to their high school years at La Salle. There are the obvious answers—We like to joke that we enjoy not arguing with our kids about what they are going to wear or whether they can dye their hair purple. In truth, their Dad and I wanted a terrific education that included learning in a Catholic faith- and values-based environment. 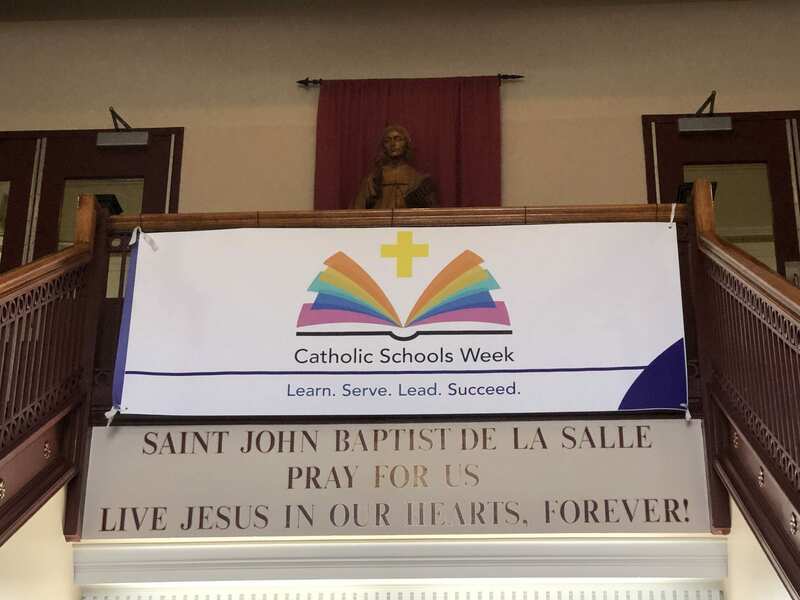 The bonus here at La Salle is getting an education rooted in St. John Baptist de La Salle’s ideals of faith, service and community. We have welcomed the opportunity that our children have had to learn about their Catholic faith, as well as the faiths practiced by others. As a family that places a great deal of value on the ideals of service to one’s country and community, particularly to those less fortunate, we are grateful for the myriad ways that our children have been able to participate in extracurricular clubs and off campus activities that enable them to gain a new perspective on the world as well as contribute their time and talents. 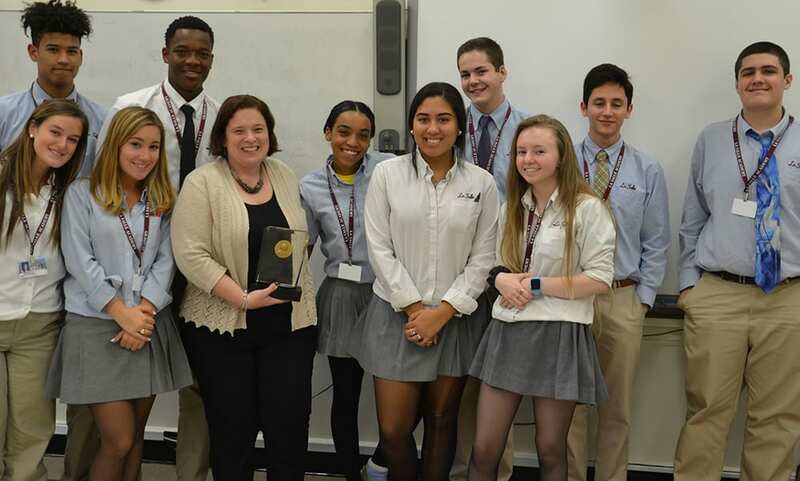 As parents, we also have seen the benefits of experiences like Kairos and class retreats, that give students the chance to reflect on where you are in your life and what direction you want to take. 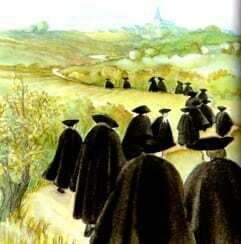 This opportunity for reflection is a real gift of being educated in the Catholic, Lasallian tradition. But if I had to give a one sentence answer to the question, “What do you hope your children have gained by their Catholic education?” it is that I hope they have been made to be aware and thankful for their lives—to truly appreciate and love the person he or she is and to know how valuable their contributions are to this world. I hope that they recognize what an important difference they can make in the world that God has created for us, but which depends on us, to care for it and its inhabitants. 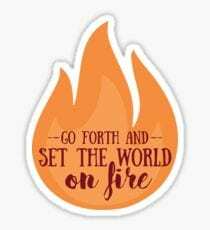 That knowledge gives the confidence to go and as St. Ignatius Loyola wrote, “Set the world on fire.” It is, I hope, what a Catholic education has instilled in my kids and in each and every one of you. During this Catholic Schools Week, let us be especially grateful for the many blessings of our Catholic education here at La Salle. May we be thankful for our parents’ and guardians’ sacrifices that enable us to have the opportunities we are given in this rich and diverse community of educators and learners. Open our minds and hearts, Lord, so that we may recognize and value the individual gifts that we have been given and help us to use them in ways that can positively impact our world and the people we share it with. 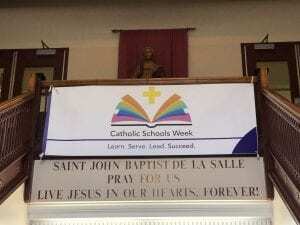 Good morning and Happy Catholic Schools Week. This is a week that is dedicated to the celebration of our Catholic identity: an identity that allows us to incorporate our faith into our daily actions and interactions. 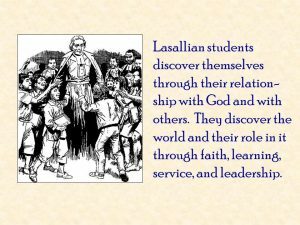 We are fortunate here at La Salle to be able share the love of God with one another and join each other on a spiritual journey that strengthens our school community. 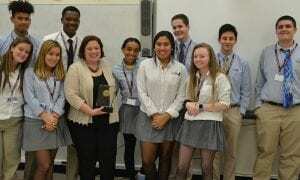 This morning I would like to share with you my journey through Catholic education, specifically here at La Salle. 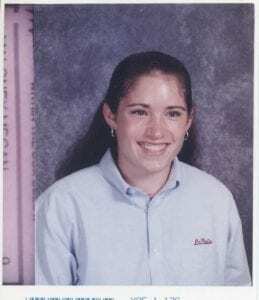 It started in a way that is probably similar to a lot of yours, sitting on the sidelines of basketball courts and football fields as I watched my older siblings compete for La Salle. 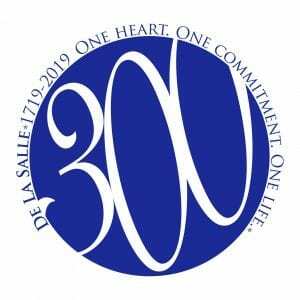 My earliest memories of La Salle date back to 1997, long before any of you were born, when I remember sitting in the tiny gymnasium that was located where the current theater is watching my sister play basketball. It was so tiny that it seemed as if you could almost reach out and touch any of the players on the court regardless of where you were sitting in the bleachers. Then there were the cold Friday night football games for my older brother. This was back when the football field was where the baseball field is located today. 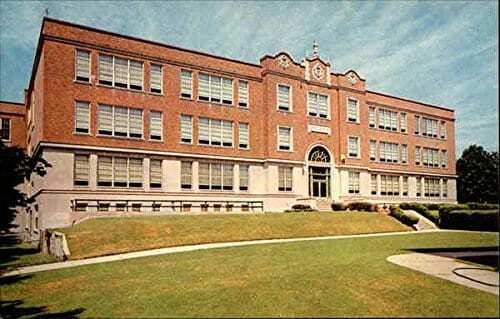 I remember sitting on the sidelines and wondering what was so special about this school that made my parents want to take us out of our town’s public schools and drive us half an hour to attend a school that they would have to pay for. Then, a couple years later, it was my turn to start at La Salle. During my eighth grade year I remember crying when my parents told me that I would have to take the entrance exam. I was convinced they were trying to ruin my life by having me apply to La Salle. You see, I was a very shy kid and by the time I got to middle school I finally felt like I had found myself a good group of friends. The thought of having to start over at a new high school seemed terrifying. To put my mind at ease they told me that I should shadow a student at La Salle for a day to get a better idea of what the school was like. Like most of you probably did, I spent a day nervously walking from class to class with a freshman… meeting all of her friends and teachers. By the end of that day I still wasn’t 100% convinced that I would love it but I at least had warmed up to the idea of giving it a shot. My parents told me that I had to at least try it for a year and then we could reconsider. Let’s just say that we never had a follow up conversation at the end of my freshmen year. I fell in love with La Salle. There was and still is today something so special and unique about this school community. On the surface it’s easy to look at a place like La Salle and think that it’s a wonderful place because of the fancy athletic facilities or state of the art theater. But it goes way beyond that. Now that I am older and hopefully wiser I can reflect on my time as a student and know that it was the people that made my time as a student here so special. You probably know some of them….. Mr. Sirois, Mrs. Misziasek, Ms. Sanga, Mr. Hajan, Mrs. Chapman, Mrs. Romani, Mrs. Martinelli, Mr. Wright, Mrs. King, Mr. Heroux… and the list could go on. These are people who helped my on my journey to becoming a confident senior who felt sad that her time at La Salle was coming to an end in 2005… little did I know that I would eventually be back and lucky enough to call those people my coworkers. After graduating in 2005 I spent six year away from La Salle. Four years were spent doing my undergraduate work at the University of Oregon (go ducks) and then two years getting my Master’s degree at Providence College while teaching at a Catholic high school in Fall River. 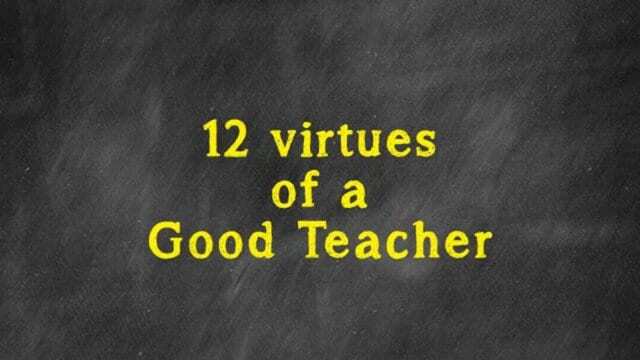 Once I began my teaching career I knew that there was only one place that I wanted to end up…. a place that had become like a second home for me and my family, La Salle. As fate would have it they had a position open in Math and it was a very surreal experience coming back to interview with people that had once been my teachers. Thankfully everything worked out and a week later I got a call from Mr. Kavanagh welcoming me back to La Salle. After I hung up, I cried. Thankfully this time around they were tears of joy. 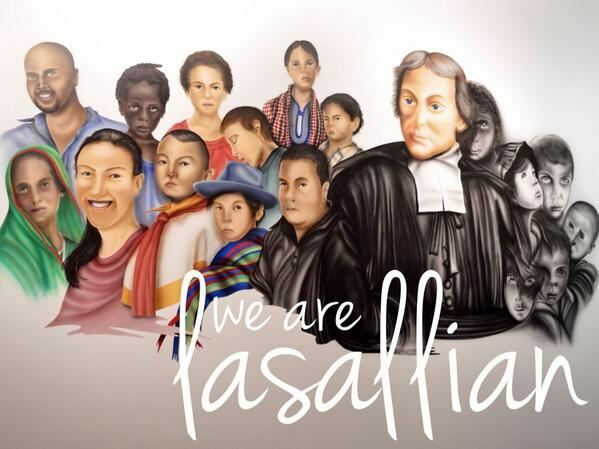 As a teacher I feel so lucky to be able to work here at La Salle: a place where we get to live out the gospel in our daily lives, where we welcome people of all backgrounds and ability levels to be part of our community. In a society that is becoming over-secularized, we must use our identity as a Catholic school to promote inclusion and service to others. It is becoming even more important for us to recognize the value of human life and the gifts that we are given to share with our community. 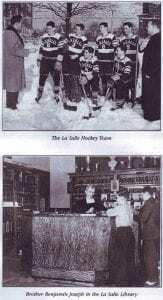 Here at La Salle things are bound to change over time. 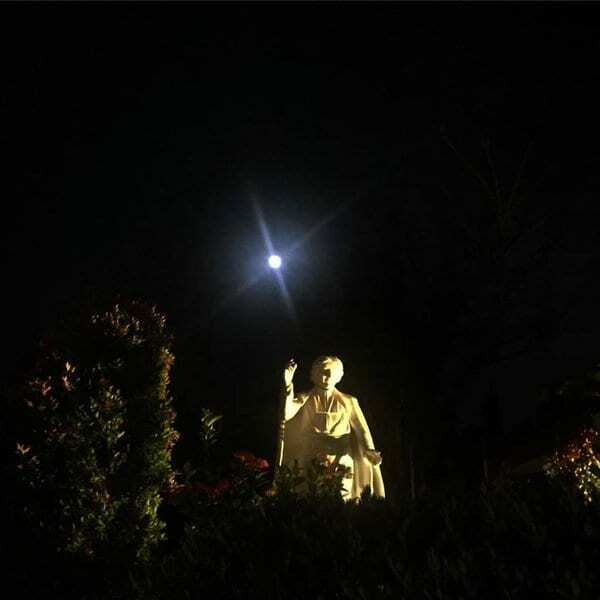 The facilities will change, the teachers and students will change, the dress code will change, but what has stayed the same over the past twenty years or so since I first stepped foot on La Salle’s campus is the Catholic mission to spread justice and love… and I hope that will never change. Last year, as some of you know, I took on a new role… being a mother. My son Ralphie was born a little over a year ago and I pray that someday he is able to come to La Salle. My hope is that, when he attends La Salle, it is still the same special place that it is today. The only way that that can happen is if you, the students, continue to share your talents and gifts with the community. And when I say talents and gifts I don’t just mean your academic, athletic, or musical talents. But also your spiritual gifts: your ability to choose between right and wrong even when the path towards what is right is more difficult and your moral gifts and desire to help those less fortunate than you. Because that is what makes La Salle such a special place. So in closing, my request to you comes, not only as your teacher but as an alum and a mother of a future student…. 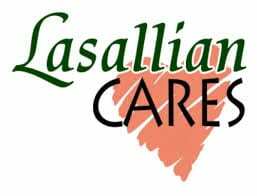 embrace your Lasallian identity, take pride in it, don’t take it for granted, and share its mission with others. In doing so, we will continue to strengthen our community and live our lives as God intended us to. We praise you for the gift of community. Thank you for the communities in which we live and work. Thank you for the community that is your Body, the Church. Fill us with Your Spirit today so that, as one, we reflect your light and love to each other and to the world. Amen. Live Jesus in our Hearts- Forever. The definition of team is “coming together to achieve a common goal.” Every person in this school is on some sort of team. Your family is a team, your friends are a team, your school is a team, each academic class is a team, and so are sports teams. Let’s start with family. Your family is special. These are bonds with people who love you unconditionally. Each member of your family is motivated by the common goal to help each other become more successful in all aspects of life. This is done by encouraging one another to try new things and search for better opportunities. Family is always there to support you in the good times and the bad and serve as a guide to help you through life. Family teaches you discipline and many of your core values as you grow up. Family is the team that builds the foundation of who you are throughout your life. Your friends are another team. 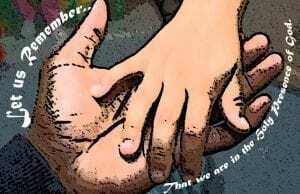 Friends help us have fun in our lives and support us when we are in need, so we are never alone. Imagine going to school everyday without any friends. It would get pretty boring and you would feel extremely lonely. Add your friends into most activities and you will have a much more enjoyable time. 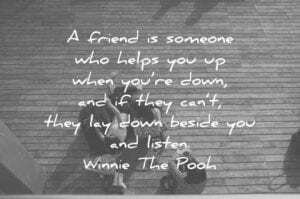 Everyone has times where they need help or another perspective from a friend. Your friends are there to give you advice and support. 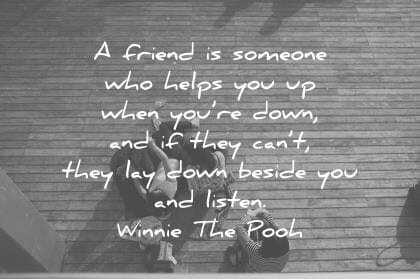 Having a friend who has your back in a time of need and helping your friends in theirs is what makes a friendship a team. Your class is also a team. 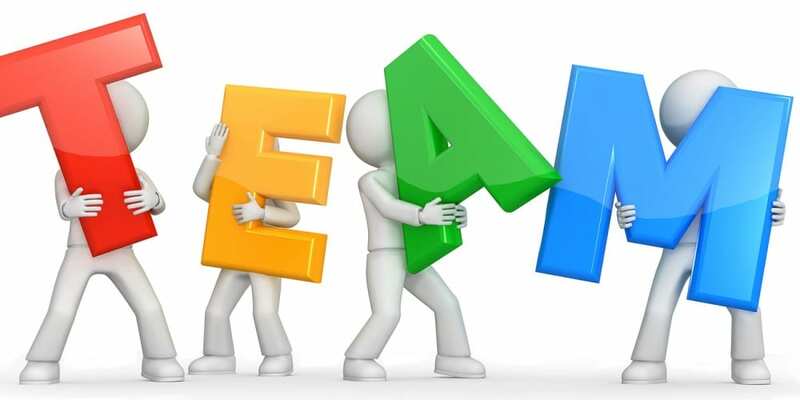 Each homeroom is a team, the class of 2019 is a team, each class you take is a team. Peers aim to help get you a better grade, or to help with school work. If you miss a day of class, a classmate will usually help you out and send the notes so you do not fall behind. 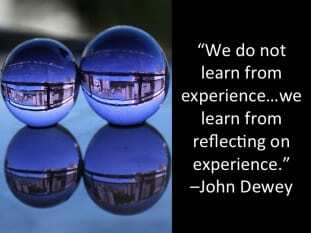 We learn lessons from our peers everyday such as leadership skills and how to work with others. 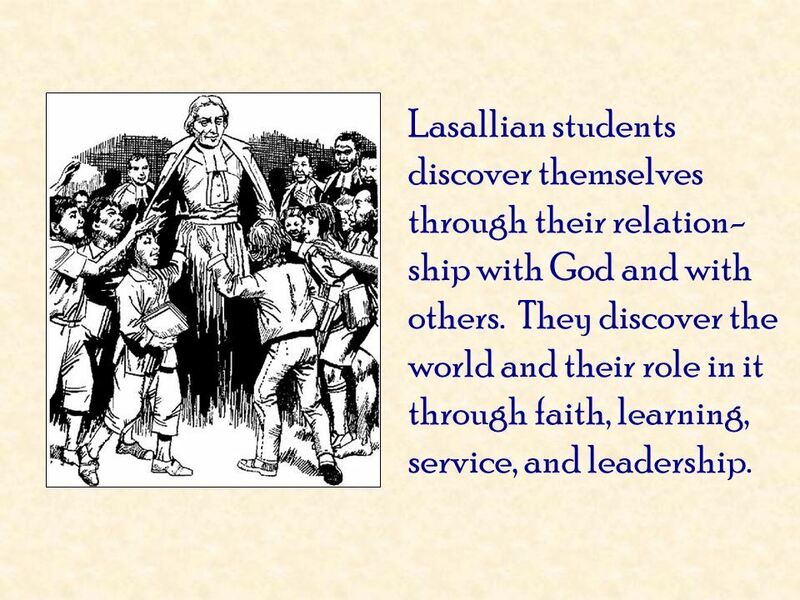 At La Salle, we hear a lot about community and that’s exactly what La Salle is, a team. 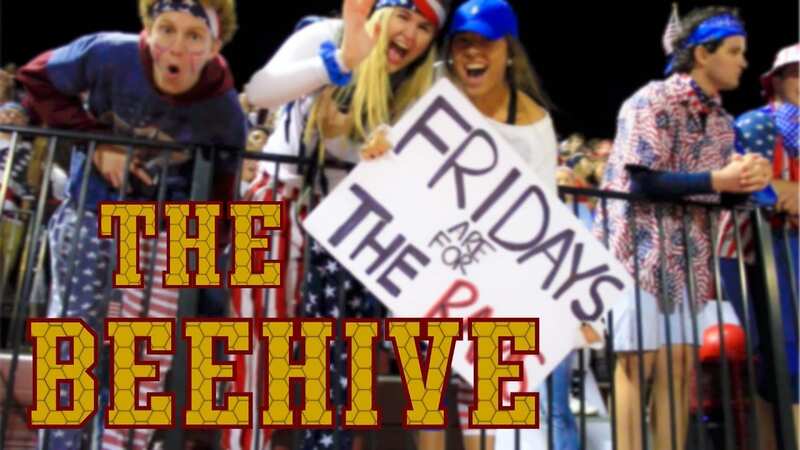 It could be coming together to cheer on the Rams at a sporting event or watching a school play. It is a tight knit community filled with great people, who are all willing to help and make sacrifices for others, as a team. Finally, a sports team. This team has more of a concrete goal- to win. If that is a state championship, or qualifying for playoffs, there is usually some sort of goal of the team. But winning isn’t the only thing that unites a team. There is a special bond and responsibility between you and your teammates. Working with them day in and day out is something that makes the team like family and friends at the same time. They push you to become better in the classroom and teach you to work hard on the field. The relationships we have with our teammates make victories sweeter and losses not so difficult. All teams require certain sacrifices as well. You don’t want to go to your grandparents house all the time, but it makes them happy, so you do. You don’t always want to see that horror movie, but your friend does so you go with them. You might not want to go to practice after a long day, but it will help your team succeed, so you go and work hard. Sacrifices are not always easy, but we make them because we care about our teammates in all aspects of our lives. Let us pray. God, help us find teams in our own lives. Allow us to give thanks to our friends, families and peers for all the sacrifices they make for us. 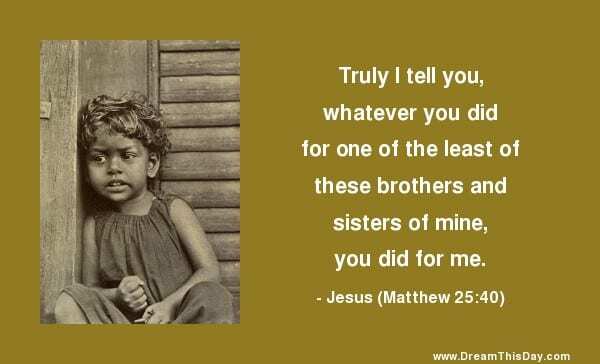 Help us to make sacrifices that will better not only ourselves, but everyone we encounter. 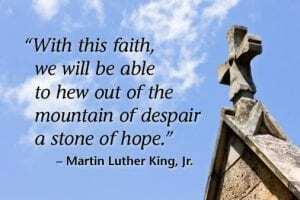 This quote is from Martin Luther King’s famous “I Have a Dream” speech and is etched upon his memorial in Washington, D.C. which is the picture you are seeing displayed in homeroom. 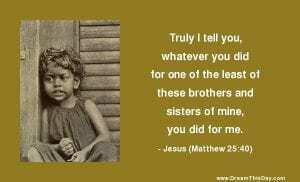 This message is also reflected in a story with which we are probably all well acquainted, the story of the Good Samaritan. 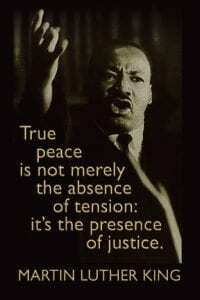 Martin Luther King offers a reflection regarding the famous parable. 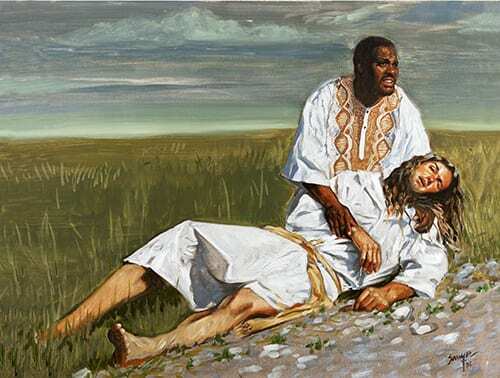 He imagines that the first question the priest and Levite ask (as they pass by the wounded man in the road) was: ‘If I stop to help this man, what will happen to me?’ But the Good Samaritan, by the very nature of his compassion and concern, reverses the question asking: ‘If I do not stop to help this man, what will happen to him?’ The Good Samaritan becomes a stone of hope in that wounded traveler’s mountain of despair. I have pondered this reflection lately and, if I’m being honest, I have to admit I can often see myself asking some form of that same self-serving question that the priest and the Levite were asking, counting the cost of potential sacrifice. So I imagine the challenge is to ask God for the grace to ask myself that second question when I encounter someone in need. 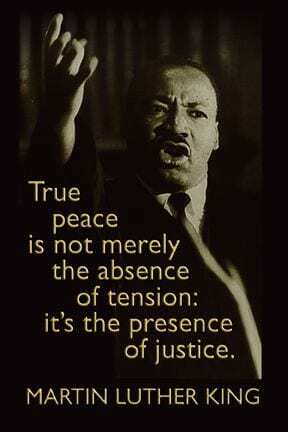 Perhaps this is a challenge we can all take on in the spirit of the Good Samaritan and Martin Luther King Jr. Whether we see someone on the street whom we typically pass by without acknowledgement, or we witness a classmate being bullied, or an anxious student or friend who needs our time and attention, perhaps we can ask God to grant us grace for those moments to ask ourselves, like the Good Samaritan, what will happen to this person if I don’t stop to help her or him? And then let us answer that question with compassion and concern. Lord, grant us the willingness to live for something bigger than ourselves. 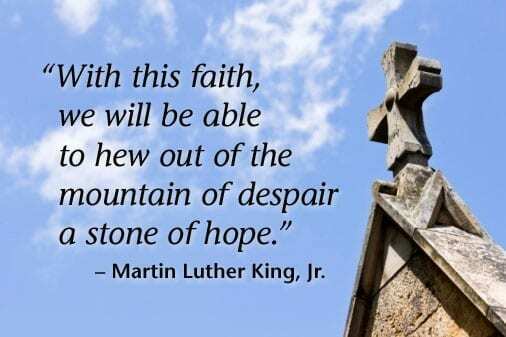 Make us stones of hope for all the marginalized and downtrodden. 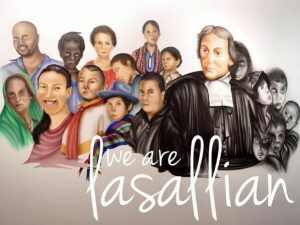 Make us Lasallians who go and do likewise, passionately pursuing peace, healing, and justice for all those we encounter, whether at home, in our neighborhoods, here at our school, or beyond. Jesus says to his disciples: “When the Son of Man comes in his glory, and all the angels with him, then he will sit on the throne of his glory. All the nations will be gathered before him, and he will separate people one from another as a shepherd separates the sheep from the goats, and he will put the sheep at his right hand and the goats at the left. Jesus, our Lord and our brother, open our hearts today so that we might generously respond to the young people of Haiti who really are the least members of your family. Remind us that whatever we do for them, we do for you. During this Lasallian Jubilee Year as we celebrate the 300th Anniversary of the death of Saint John Baptist de La Salle, keep us ever mindful that as Lasallians we are all one in the heart of our Founder, in the life of our Founder, and in his commitment to service of the least among us. Amen. It is the winter of 1683-1684 and the high price of food and the harshness of winter turned the city of Reims, France into a huge poor house of starving people. 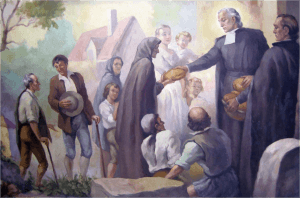 To the three newly-started schools of the Brothers and to the Brothers’ House on Rue Neuve the poor came in droves, adults and children alike, many of them close to starvation. None of them went away unprovided for. 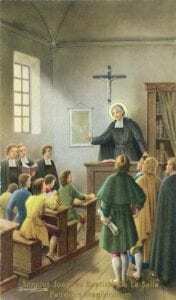 John Baptist de La Salle, the wealthy priest and reluctant founder of schools for poor boys, now lived with the handful of new Brothers. He had decided after much prayer and spiritual direction, to hand over his wealth so that he too would be poor like his Brothers. 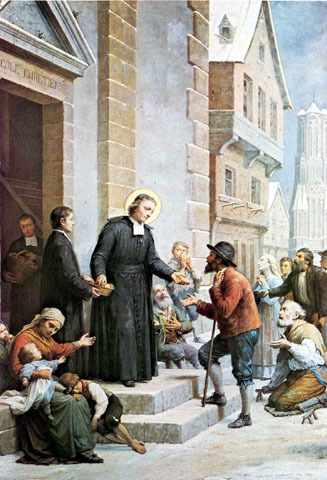 So the daily distribution of food went on until there was nothing left; and then, De La Salle himself had to beg for the bread he could no longer afford to buy. Flash forward to the winter of 2010, January 12th, and the devastating earthquake that flattened much of Port-au-Prince, Haiti, killing an estimated 316,000 people, leaving 2.0 million people homeless, and making orphans of hundreds of thousands of children. Like its Founder, Saint John Baptist de La Salle, the Lasallian World could not just stand-by and watch the suffering of people that they had so long served in Haiti. 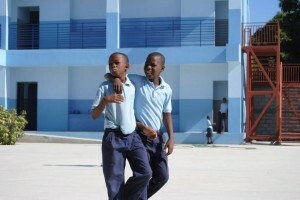 Through world-wide donations, including a substantial gift from the faculty, staff and students of this school, the educational and health needs of hundreds of young people and their families is being met by our brother school, the St. Jean Baptiste de La Salle School in Cazeau, a small town on the outskirts of Port-au-Prince. 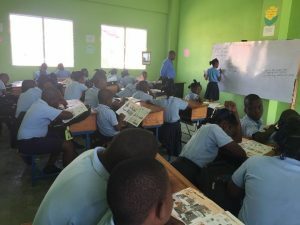 Each January, since that initial gift, our community has donated about $10,000.00 annually through our Hands Out to Haiti Campaign—to help build the Health Center, to build additional classroom space, to build athletic fields and provide athletic equipment, to purchase uniforms and books, to buy a van for transportation, and to provide tuition help to the now 700 youngsters being educated in Grades pre-K to 10. Unlike John Baptist de La Salle, we are not being asked today (for the De La Salle Middle School) or tomorrow (for the high school) to give away all our wealth and to go out to beg for food. We put in our $5.00, get a chance to dress-down for the day, and go home tonight or tomorrow night to a good meal and a warm house—with all our toys (cars, I-pads, I-phones, X-boxes, etc.) to keep us occupied. However, I ask you to find a few minutes during the rest of this day and tonight to be quiet and to reflect. What if the earthquake or another natural or man-made disaster happened here in Rhode Island? How would we feel if we were deprived of everything we take so much for granted? Well, that is how De La Salle and the starving of Reims felt during that bitterly cold winter and that is how the students of the St. Jean Baptiste de La Salle School felt following the earthquake! 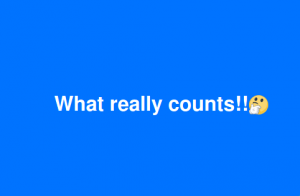 I would never wish that feeling or those disasters on anyone, but it is good from time to time to ask ourselves: what really counts, what is really important, and when it comes down to it, what do I truly need? Maybe, after some moments of reflection, you might decide today or tomorrow to forego that Dunkin Donuts flavored coffee and bagel or those extra fries; maybe you might decide to skip the movie you are planning to go to over the weekend or to not buy the CD or DVD or Apple I-tunes you saved for with your Christmas money. Are those things REALLY necessary? Making a sacrifice is not something we hear about often. 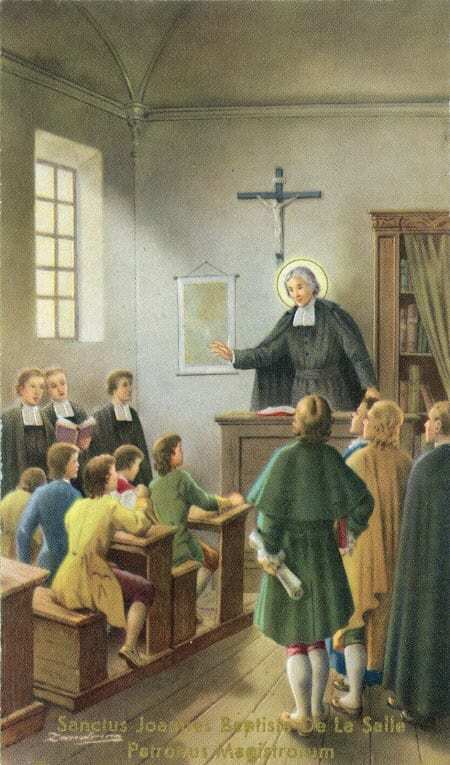 However, today I ask you to consider making a sacrifice, making a sacrifice like John Baptist de La Salle, making a sacrifice that hurts a little bit—making a sacrifice this morning or tomorrow morning when the envelope is passed in your classroom, as you sit comfortably in your dress-down clothes in a warm building. 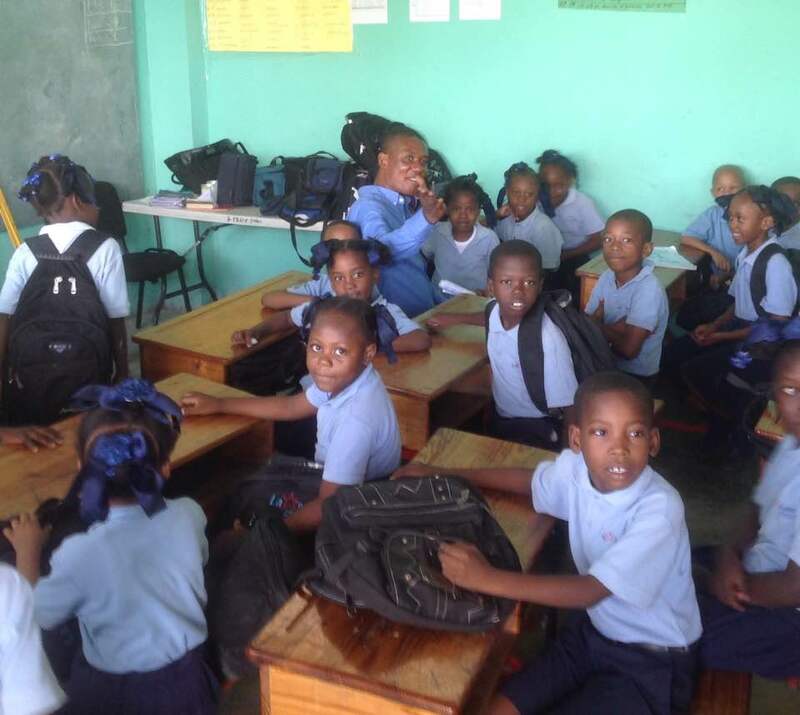 And as you consider this request, think about the young people of Cazeau, Haiti who are being clothed in uniforms, and given medicine, and being taught because of the extra dollars that you contribute. As we continue our celebration of the 300th Anniversary of the Death of our Founder, Saint John Baptist de La Salle, let us honor him not just by words or by pictures with 300th Anniversary signs but by imitating his generous heart, his self-less life of giving, and his commitment to be of service to the least, the last, and the lost. Jesus, our Lord and our brother, open our hearts today and tomorrow so that we might generously respond to the young people of Haiti who really are the least, the last and the lost of your brothers and sisters. Remind us that whatever we do for them, we do for you. Amen. My name is Idylla Louis and I graduated from La Salle in 2015. 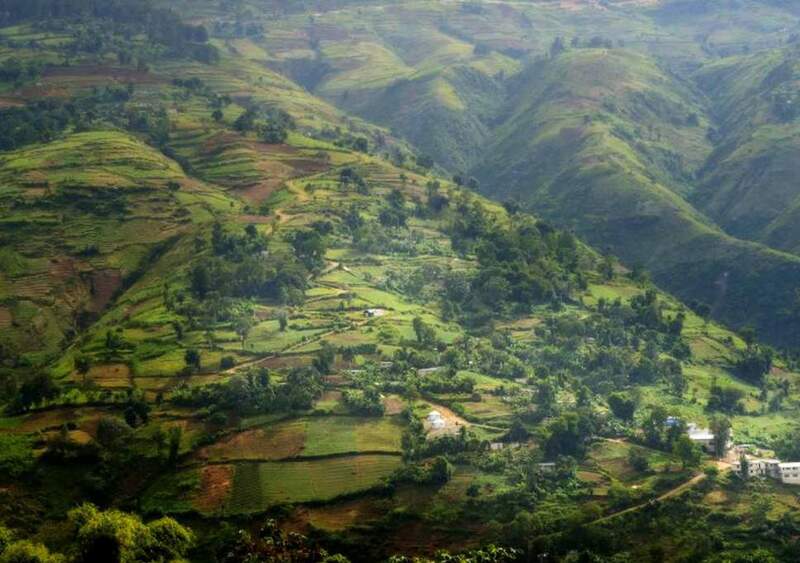 I am here to give you a look into what the island of Haiti is like and the beauty that some have the opportunity to experience. Both my parents were born in Haiti. When flying over the island preparing to land, you see the beautiful mountains and lush trees. When you land, you are hit with warmth that can only be found on the wonderful island. At the airport, you are greeted by smiles and the music of Haitian troubadours. This prepares you for what’s to come on the island if you allow yourself to be immersed into our culture and our people. 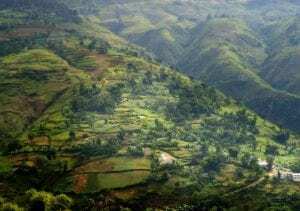 Although Haiti is an economically underdeveloped nation, Haiti’s identity is much more than that. We are a country with a rich history and a diverse group of people. I am proud to call it my home. If you have the opportunity and time, I encourage you to visit, to take the time to get to know its landscape and its people. God, thank you the beautiful country of Haiti, for its faithful and friendly people. 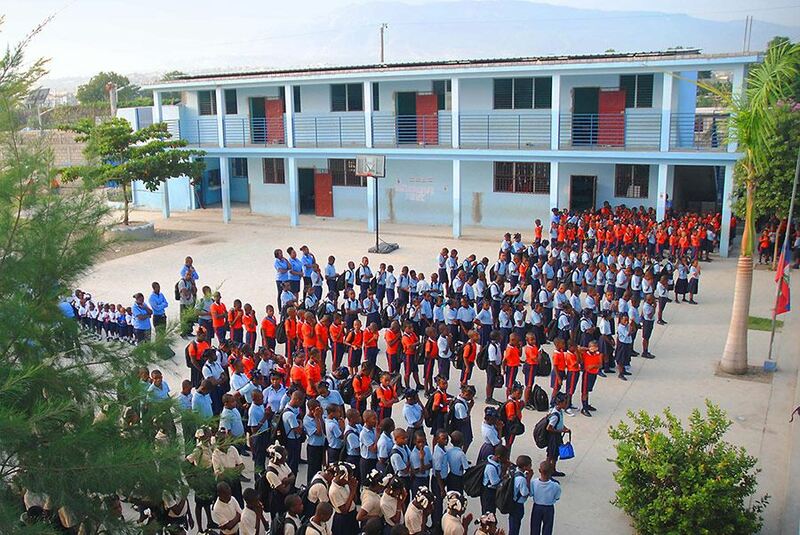 As a Lasallian family connected around the globe, we remember that the children who attend our Lasallian school in Haiti are our brothers and sisters. This week, during Haiti Solidarity Week, we pray that we may give generously, knowing that education changes lives, provides hope, and gives people options out of poverty.